These herbal products are practitioner only items and should only be taken under the guidance of a qualified healthcare practitioner. Traditionally most herbal pills manufactured in China consist of powdered herbs that are compressed and held together with either water or honey, thus making the concentration ratio less than 1:1, as can be seen on the label. While this is more appropriate for strong laxatives, the majority of herbal formulas give much better clinical results in a concentrated form. 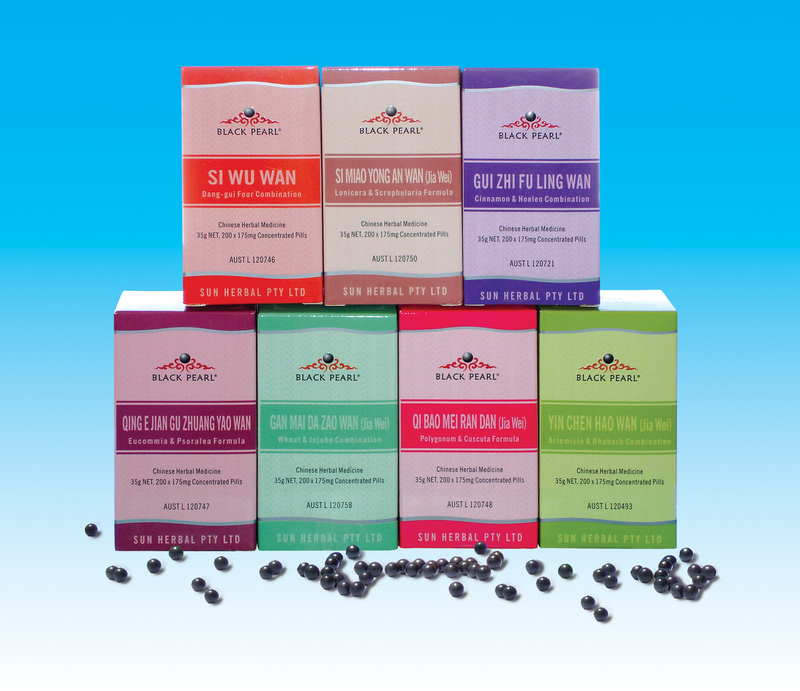 Black Pearl® formulas have undergone a process of temperature controlled extraction. This means that you will find Black Pearl® formulas to be two or three times stronger than pills made from powdered herbs. Therefore consistent clinical results can be achieved using the recommended dosage range. The indications on the labels and packaging include the TCM syndromes/patterns as well as major symptoms and biomedical indications, where appropriate. This will facilitate prescribing by helping practitioners to match the disease or presenting symptoms with the predominant TCM syndrome/s. For around the same price as commonly available made from powdered herbs, Black Pearl® offers outstanding value by providing two to three times the amount of active ingredients in each pill. Bu Yang Huan Wu Wan - Astragalus & Lumbricus Formula (BP069). Only available in Cathay Herbal brand.